I spent most of the day and all of my money on little plastic capsules that contained tiny white boulders and a terrible addiction. The sun had been gone for quite some time and the roads were wet from a cold winter’s rain. The streetlamps and occasional headlights from passing cars glistened against the black pavement and across the yellow dividing lines on the street. When the wind came, the traffic lights swayed with the colors of red, yellow, or green reflecting against the slick pavement near Green Avenue and Front Street. Front Street is somewhat of a main road in my small Long Island town, but the traffic was few at that hour. The street is lined with modest, single family homes—most of them are one-story in height, and because of the late hour, all of the homes were mostly dark with the exception of a few scattered porch lights. Some of the homes still flickered with the glimmer of leftover holiday lights that remained on the either the gutters, windows, or in the bushes and shrubs that dressed the front lawns of different houses. I had to walk fast because there were people looking for me over an issue regarding a stolen wedding ring. I had to find someplace to hide. But most importantly, I needed a place where I could finish the last of my fix and finalize my journey with the only antidote that made sense. I needed to go someplace where I could ease the horrible aftermath of a long cocaine binge and slowly withdraw from the fast pace of a lost euphoria. I needed the only cure I could think of . . . Heroin. As a result of a chemical reaction, my jaw was clenched and grinded back and forth. I was cold and wet. My long hair clumped together in soaking wet strands from the heavy rain. My denim jacket was wet and so were my shirts beneath it. My jeans were soaked and so were me sneakers and socks. My stomach was empty and growling but food was the furthest from my mind. Every so often, a car would come and I hid alongside one of the homes on the street. I tried to hide behind the Mobil Gas Station—but there was no cover from the rain, which had finally begun to slow down. I checked the cars awaiting service in the rear of the gas station, but none of the doors were opened. I checked the bathroom too. This was also in the rear, but the bathroom was locked and breaking in was not an option. It was not an option—not because I was against the idea. I could have easily broken in anyplace. However, the noise would have disturbed the quiet in an otherwise sleeping town. It seemed the only people awake during hours like this were people like me. We were the wild kids of the town—we were the longhaired junkies and misfit. At hours like this, whoever was walking the street was not walking the street with good intentions. The time was later than midnight but hours before daybreak. I could not go home and I had no place to stay. I needed to get out of the rain and find someplace where I could fix the madness and lay flat. This is the part everyone warns you about but nobody listens to the advice. This is when anguish floods the system and desperation sets in. In times like this, the unthinkable becomes acceptable. Things you would never do, or things you once valued greatly could be given away at a fraction of its value for one more fix. There is nothing as emotionally horrible as the cold hooks from this kind of addiction. The steel claws sink in and tear flesh from sanity. My nerves were frayed like the end of an old tattered rope. My eyes were wide open—or electrified, like a crazed man without his soul. I continued to frantically check my pockets with hopes to find the possible discovery of a missing crack vial or another cocaine packet. But discoveries like this never happen. And I knew this was the case, but the cocaine bugs that weaved through my mind continued to cry out and forced me to check over, and over again. When the cocaine high was good, I felt a beautiful surge of relief. I put the pipe in my mouth and heard the sound of tiny white rocks melting beneath the heat of a small torch against a glass pipe. The sensation began with a feeling of weightlessness in my chest, which became numb from the inhalation of a thick white smoke. In seconds, the high began from the epicenter of my brain, and triggered the effect which collapsed like dominoes down my spine. Suddenly, the rest of my body became numb in a whole new way; I was numb to the world and numb to any kind of pain or concern. As I held the smoke in my lungs, my hearing clogged and I was overwhelmed by the steady sound of a high-pitched tone that rang in my ears. I was perfectly unaffected and overtaken by an incredible rush. When I exhaled the smoke, I burst like silenced air-horn and felt myself drift into a soft imaginary world. It was like being in a different atmosphere. It was like feeling the tingling chill of tiny snowflakes falling onto your face. You breathe out the smoke, and all is forgotten. Your eyes close for the celebration of an exhale and everything swarms in the genius of a beautiful turmoil. I loved the ritual that went into my fix. I loved cooking batches of cocaine in a spoon so I could fill my pipe, or loading it with a hit from one of my vials. True, it was fiendish. It was evil—but to me this was the light; this was the truth and the way. To me . . . this was the only way. Once this all began, there was no stopping me. Everything was about the high—everything I did was done to keep myself in that weightless state of perfect abandon. I wanted to be lost in the nothingness for as long as I could stay. But no one can ever stay. no matter how I tried, the high always crumbled. As the supply dwindled, the anxiousness crept in. Eventually, the high became less in height and the crash fell lower in depth. Eventually the high turned from a mixture of adrenaline and euphoria to an ongoing fit of nervousness. The soft edges of atmosphere become hard and the kindness of freedom becomes painfully captive. Once this stared, all I could do was try to keep from the painful crash. Only, that was impossible. But this is what happens with cocaine, or crack and freebase—the high only last a few minutes, and the first hit is always the best. After that, the high keeps getting shorter and the crash gets deeper and longer. When the high turns bad, the desperation is incredible. The whispers you hear appear in shadows or quick visions that disappear when you turn to look to see where they are. This is the paranoia setting in. They want to steal you away from the one and only thing that makes sense to you. I had to get off the street. I was not only wanted by a previous group of friends. The local cops had been inviting me to the precinct to answer a few questions. And if they saw me . . . I knew they would bring me in. I needed to find someplace that was dry. And then it hit me. I decided to head down by Glenn Curtis Boulevard. I hid in a stripped down, stolen car that had been left in the vacant fields across from the parking lots at the only tall office buildings in my neighborhood. The car was an old gray Datsun 280zx. The windows were all broken, and the windshield was smashed into white cobwebs of huge shatter marks. It was smashed, but at least the windshield was still intact and able to block some of the wind. The tires were gone and the car was on blocks beneath the wheel-housings. The stereo was gone too, along with the battery, and any other salvageable parts a car thief could sell. This was not the best place to hide. It was just the only place I could think of. The inside of the car was mostly dry and the seats, though filled with cubes of broken glass, were able to lay back to a nearly flat position. Also, the car was mostly hidden by a series of bushes and trees. I guess in my mind; this place was as good any other. I made my way through the trails, which cut through a field of tall, half-bent grass. Each minute, I looked over my shoulder to be sure no one could see me. I looked around to make sure no one was near the old car. Then I dug my hand in the inside pocket of my denim jack and retrieved a plastic bag, which was wrapped around the two small packages that I considered to be the last of my wealth. After getting in the car, I closed the driver’s side door softly. I was careful not to make any noise or cause attention. I was able to see because of nearby the streetlamps on Glenn Curtis. The dull light seeped in from the windows as I carefully opened the first of my last two packages. The powdery contents seemed to glimmer beneath the somewhat orange hue given off from the distant lampposts. I could hear my heart beating as if I had just run for my life. The fiend was still with me, and it was still so strong, but in a few minutes—all of that was about to stop. To me, getting high or finding the perfect fix was merely a destination. Some people use needles and mainline as a way to reach their destination. Some people smoke heroin, or chase the dragon as they say. Some people skin-pop it, and other people sniff it. And me, I used to sniff it. True, each method comes into the high differently. Like needles, for instance; the high comes on much faster. Sniffing heroin is a slower climb, but once the powder switches into bloodstream, the destination was where I wanted to be.. I sniffed the two bags and waited for the drug to do its trick. I waited for the heroin to soften the adrenaline and soothe anxiety. In a matter of minutes, I waited for the sudden inertia of a world moving backwards; one that slowly withdrew me from the heaviness of the grind and shoved me into a warm, smooth, and unaffected mindset. And when it hit, the drug took affect and all the worry, all the muscle-tightening, twitching, and jaw clenching, and even the cocaine bugs subsided to a new stage of weightlessness. My eyelids lowered like a flag as it fell down to half-mast and my jaw hung open as if I lacked the motor skills to close it. I felt myself slide between the layers of conscious and unconsciousness—slowly reversing down through a downward spiral of warm-blooded euphoria, which solved the beautiful riots in my spine. Life and death was suspended in the safety of gentle cocoon. I was not afraid anymore. I was not angry or concerned with the urine that soaked the front of my pants. I slid into the stages of a nod, and in that not, I forgot about the troubles that plagued me or the police that were looking to put me away. I sank deep between the fingers of the dope gods until I was awakened by the sound of different voices. They were familiar voices too. These were the voices of the people I was hiding from. Lying flat on my back, looking upwards at the sagging headliner on the ceiling of a stolen car, I listened to a group of people walk passed. And I knew. I knew if they found me I would have been beaten. I knew I was in no shape to defend myself, nor could I defend myself against any one of them. It’s strange though . . .
but the price I paid was always so misleading. 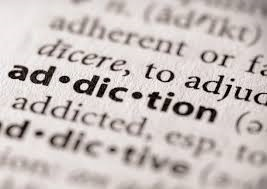 I guess this is always the case when it comes to addiction.